Herbal oils, particularly those made from cannabinoids, which is CBD oil, can be very helpful for various conditions that most people feel are only handled by doctors and medication. Below are some issues that may see a rise in the use of CBD oil for treatment in the coming years. The use of CBD oil for anxiety treatment is common sense. For conditions that have similar effect on the human body, like Post Traumatic Stress Disorder and even depression, significant improvements have been found during studies where CBD oil was introduced. This means that these emotional health disorders can be targeted through the use of CBD oil and potentially held at bay for these patients. The sebaceous glands in humans are the reason that some people suffer from significant cases of acne. When CBD oil is applied to these areas, lipid synthesis is inhibited. This means fewer outbreaks, and overall the skin appears healthier and younger thanks to anti-oxidants. There are many treatments for acne, which have varying degrees of effectiveness for different sufferers. It would be helpful if this treatment had a greater impact on a wider group of acne sufferers. A cytokine known as IL-12 is blocked by the regular use of CBD oil. This is a key element to many autoimmune diseases, and in mice, it was found to be a key in improving those who suffer from diabetes. The test has not yet been applied to any form of human testing. However, the potential is there for significant benefit from a simple and more natural treatment. Some studies have been done that use CBD oil to treat schizophrenia. In those limited studies, the success rate of the treatment was very high. Additional studies will need to be completed to show the reasons for this success and if it can be considered viable for a wide variety of patients, but the hope is there that the use of CBD oil can go worldwide as an effective treatment that has fewer side effects than comparable prescriptions used currently. Pain reduction due to the anti-inflammatory properties of the oil is well-known in both traditional medicines and in those circles where the potential benefits of CBD oil are recognized and celebrated. Anyone with issues like arthritis and Psoriasis, as well as other conditions that are hard to cure and have limited success with certain treatments, can recognize the benefits of potential success due to the use of CBD oil. 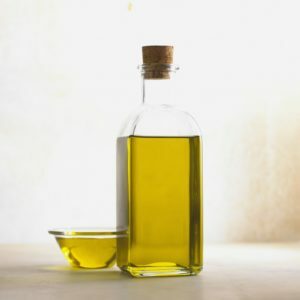 For anyone who is looking for help with any of the above conditions, as well as numerous others related to pain or inflammation, look at American Hemp Oil. The potential for relief from these conditions and the fact that medications are not needed and addiction is not a potential side effect can be very appealing to those who have been seeking help or answers for years with little success. It helps to do the research and see the potential before taking it to a medical professional for discussion. From there, it is important to find a more open-minded professional to help you determine the merits of this potential treatment.